Last year we had a wonderful time at the Toronto Cider Festival and we are sure this year will be no different. They have already announced that they will have 20 cideries and tons of food pairings to go along with their great products. We loved the atmosphere last year and this year wont be different as they do a ‘Cottage in the City’ theme including Muskoka chairs! All that to say: we’ve partnered with the Toronto Cider Festival to give away 2 tickets to the day session! Why do I want tickets? 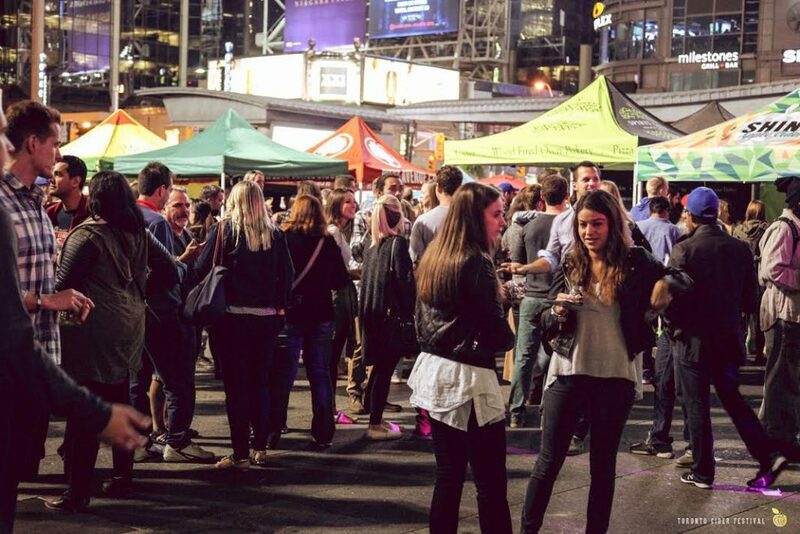 The Toronto cider Fest is the largest cider festival in the city. It’ll feature 40+ ciders from simple sweet sippers to weird barrel aged sours! Cider Fest tickets get you 4 sample tokens, a sampling cup (that you get to keep! ), Live music, A view of the cider cocktail competition (only available during the evening session), competitions, giveaways, games and more. You also are guaranteed to find ciders you have never tried and food pairings you would never expect that will work in beautiful ways. Tickets are normally $30 each and they sell out quickly! Final: Best or coolest photo gets the tickets! Note: enter as much as you want! Toronto Cider Fest 2017, a Giveaway! Toronto Cider Festival 2018, a Giveaway!